#17 is a nighttime desert scene with giant Agaves and Sagauro cacti. 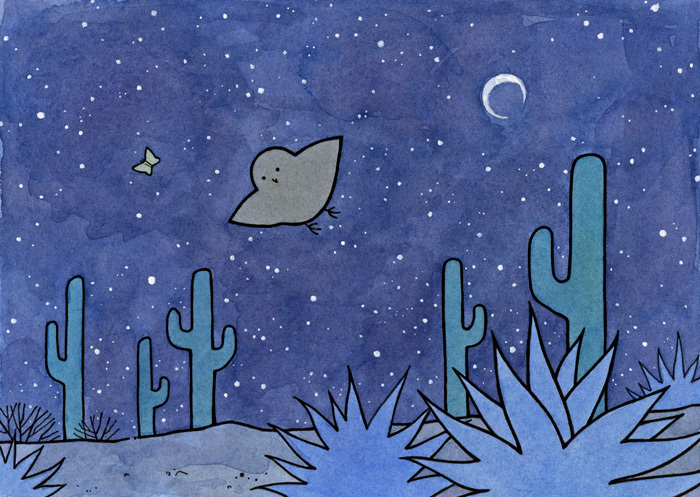 A little Elf Owl chases a moth across a sky filled with stars and a crescent moon. Really pleased with this one! Thanks! The process and challenge of simplifying is my favorite part of drawing like this. Aww, this one’s really sweet!